KidKeyLock is a simple but effective program to prevent small children from accidentally deleting files or changing system settings while they are using your computer. 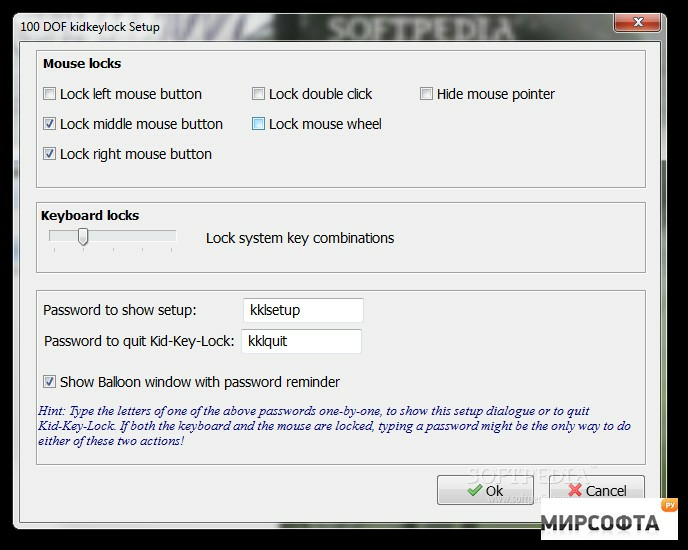 It allows you to temporarily disable selected mouse buttons (left, right, middle and mouse wheel) as well as access to the keyboard. 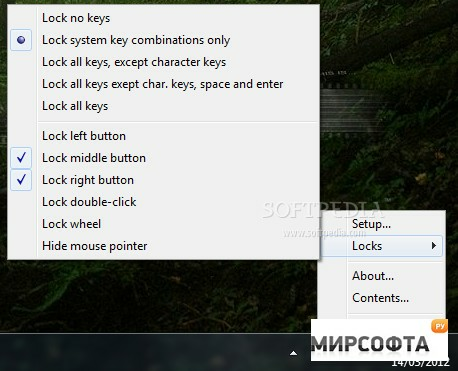 You can choose to either lock your keyboard completely or just limit it to the character keys needed for basic input, disabling all system hotkeys and other special keys.